The apartments are about 50 square meters, the bedrooms are equipped with Sat TV, shower-toilet, in the cozy living room with pull Doppelbettchouch a beautiful dining area with fireplace and fully equipped kitchen -located. The apartments are located in a peaceful location on the outskirts of Salzburg at the recreation area Unterberg, perfect for exploring the sights in and around Salzburg or else to spend a relaxing family holiday. For golfers, there are about eight golf courses nearby (GC Berchtesgadner country Weng 5 Km.) Cyclists welcome. The terrace for breakfast outdoors. The bus, which stops two minutes before the house, you can reach the beautiful old town of Salzburg or the Salzburg Open-Air Museum, as well as the newly built McArthurGlen Designer Outlets in a few minutes. Both from the airport, and the railway station you can reach the apartment easily by public transport. For those arriving by car parking is available. Very nice and clean and wonderful! Great hosts! We loved it and would HIGHLY recommend this rental . Helga is extremely nice and helpful. Our favourite accommodation in 2 weeks touring around Central Europe. Helga is a welcoming host with a large, comfortable apartment in a beautiful setting next to a small canal. We wished we could have stayed longer. My kids loved the trampoline, play area and opportunity to kick a soccer ball on the nearby soccer field. Helga has prepared a folder of useful information on the area and getting into Salzburg. A wonderful apartment just inside Germany only a short drive to Salzburg. Helga arranged to meet us even with our late arrival and explained everything we needed to know. She checked in during our visit making sure everything was as we wanted. Location is quiet but close enough to catch the bus if you want to avoid driving. All in all a very enjoyable place. We enjoyed staying here, very large, clean and comfortable. Victoria was super helpful and delightful. Extra plus was the washing machine -clean clothes, yea. This is an amazing home that was first built in the 7th century! Helga is such a gracious host too! 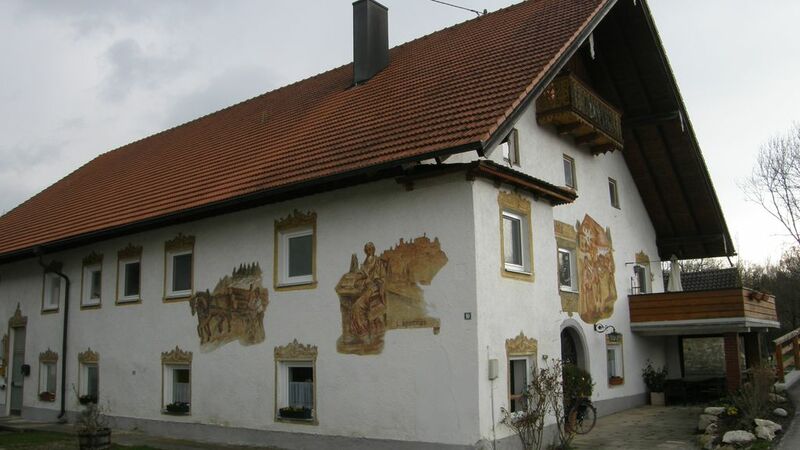 Stay away from the touristy center of Salzburg and relax in this beautiful home on a quiet farm. The apartments are located in a peaceful location on the outskirts of Salzburg at the recreation area Unterberg, perfect for exploring the sights in and around Salzburg or else to spend a relaxing family holiday. For golfers, there are about eight golf courses nearby (GC Berchtesgadner country Weng 5 Km.) Cyclists welcome. The terrace for breakfast outdoors. The bus, which stops two minute walk outside the house, they reach the beautiful old town of Salzburg or Salzburg Open Air Museum, as well as the newly built McArthurGlen Designer Outlet Center in a few minutes. Festspielhaus Salzburg can be reached by bus in 20 minutes. Both from the airport and the railway station you can reach the apartment easily by public transport. For those arriving by car parking is available.